The air is cold, the skies are grey. I find myself admitting that fall is here and here to stay. After several rainy days in a row, I want to wrap myself up in a blanket and drink hot tea whenever I catch a glance out of the window. The trees are just barely taking on color, the leaves not yet gathering on the ground. The air is damp with fog and humidity, not with the crispness I love and remember. With a miserable weather forecast for the next few days, including a prediction of snow, I'm happy spending my time indoors. I wonder if fall will feel the same in this new town, as it did back home. When I finally let my hold on summer pass, the warm scent of vanilla and cinnamon begin to fill my kitchen. Cinnamon is the feeling of autumn for me, the essence of the season all bottled up in a single smell and taste. While pumpkin or caramel or apples may define the season for others, it is this single spice that warms my soul. 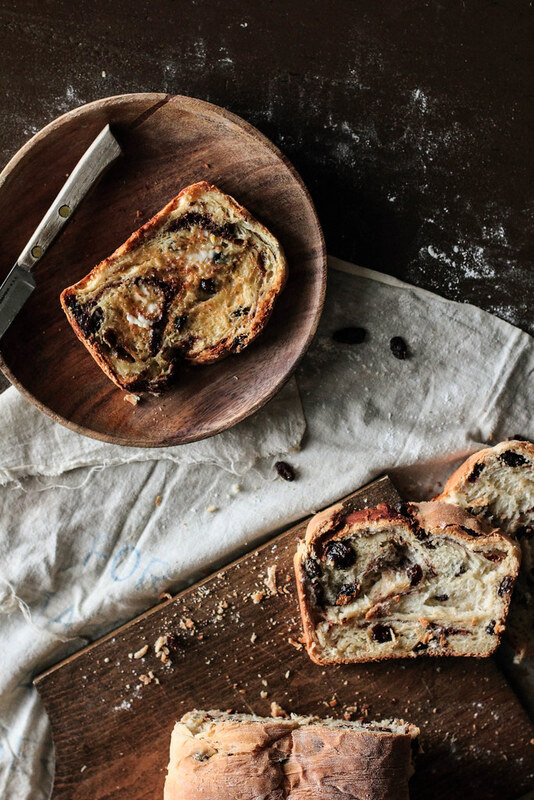 Each fall, as soon as the weather grows cold, I like to buy myself a loaf of cinnamon raisin bread. Toasted, with a spread of butter, is my version of autumn happiness. This year, instead of finding my loaf of bread on the shelf, I decided to make it myself. The dough is made with milk to give the bread tenderness and melted butter to add a richness. While I mixed in 3/4 cup raisins, I would recommend a few more if you are a raisin lover and a few less if you are not—it can be tweaked to your personal tastes. The swirl of cinnamon is what makes the bread for me. 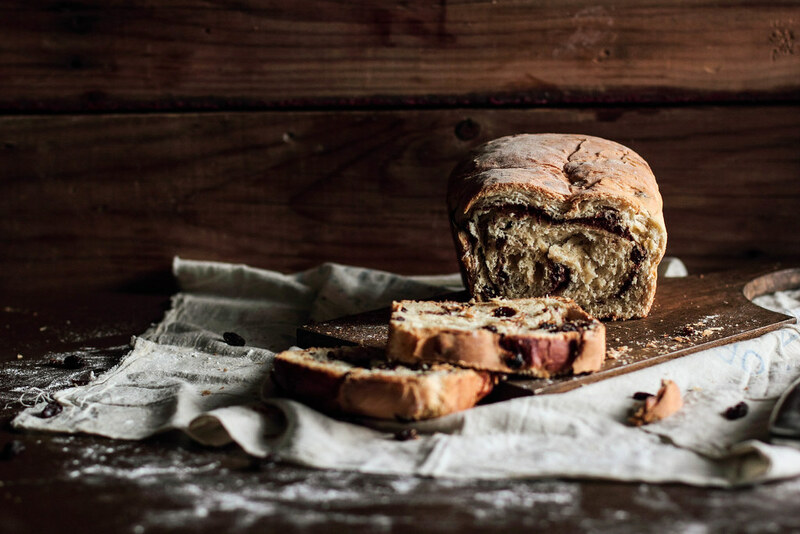 Though the cinnamon is only rolled throughout the dough, the scent and taste seems to pervade the rest of the loaf, giving a pleasant flavor to each and every bite. 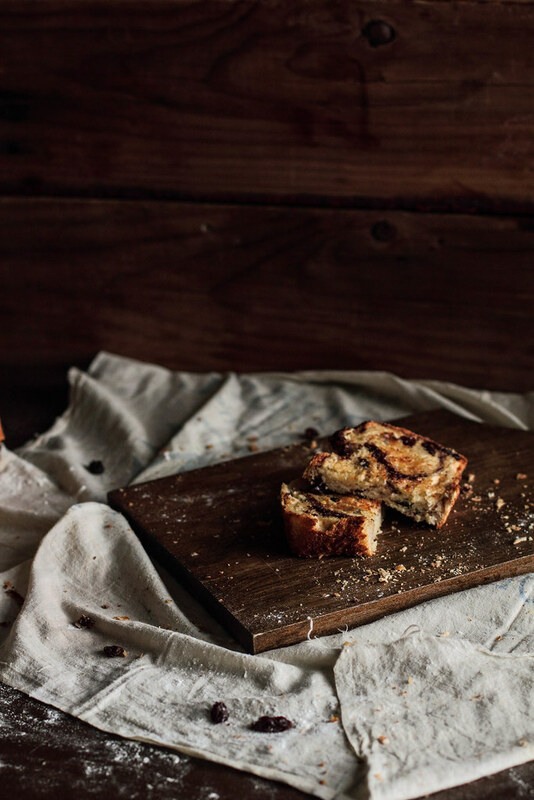 Enjoy when the season beckons and cinnamon is on the menu. 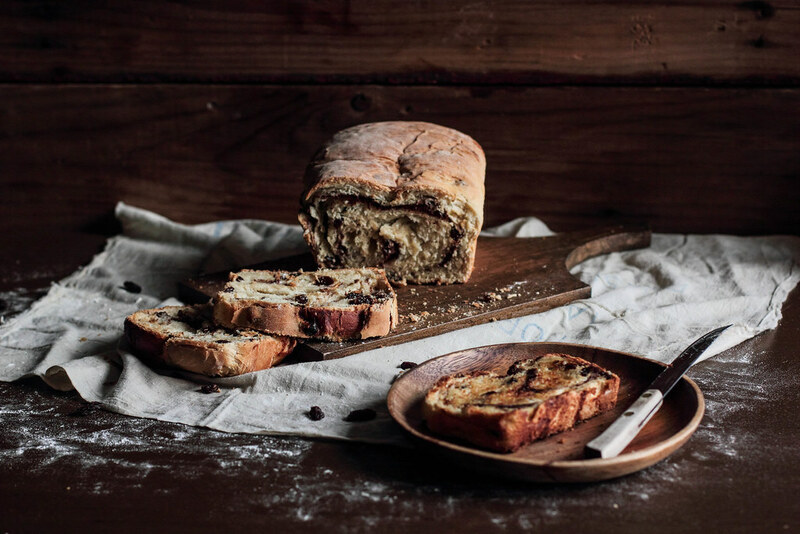 Cinnamon Raisin Swirl Bread evokes feelings and flavors of autumn. 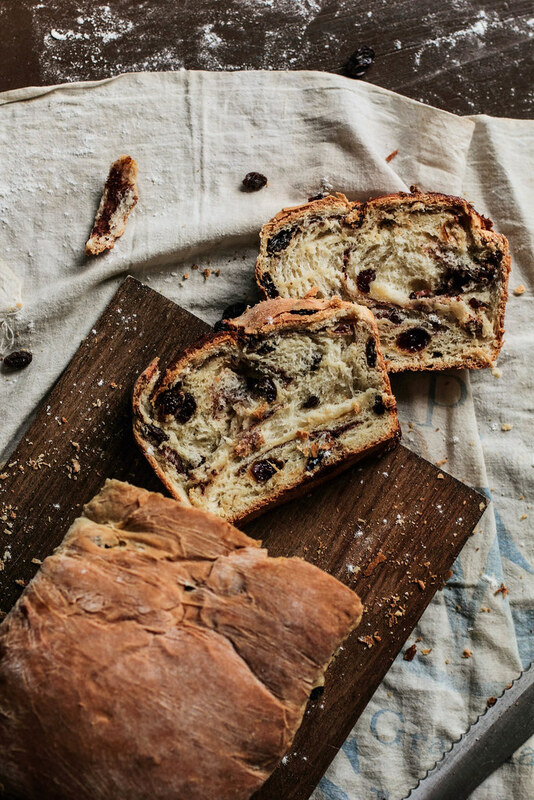 Bread dough is scattered with raisins, rolled out, spread with cinnamon and sugar, and rolled together to create a cinnamon swirl. 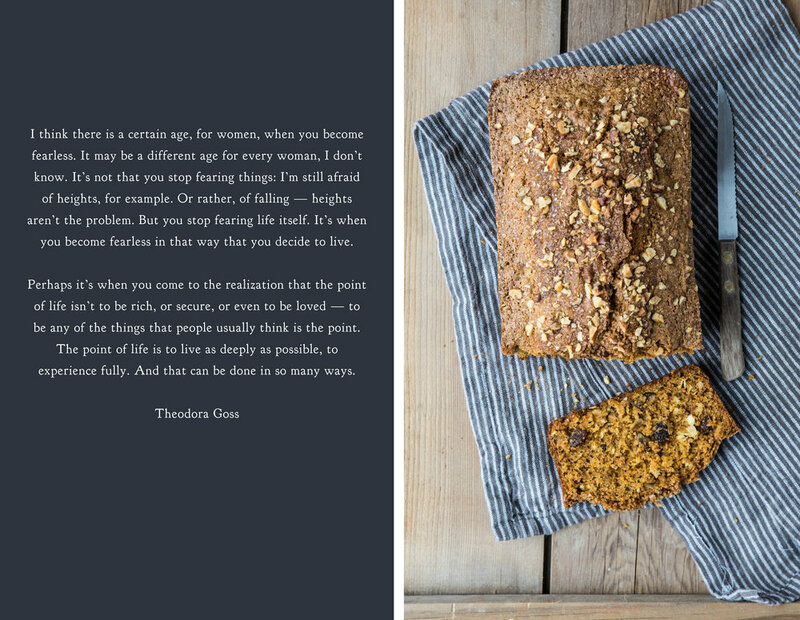 Even though the outside of the loaf may not be beautiful, it really is the inside that counts with this bread. 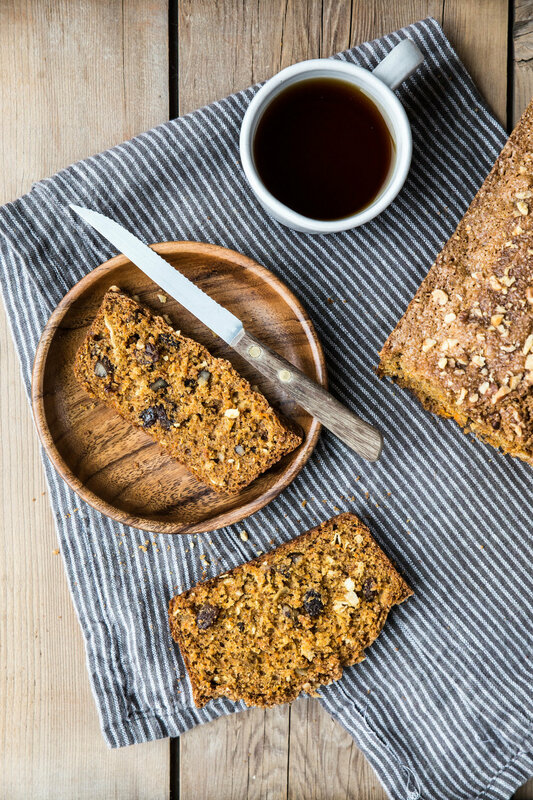 Spread with butter, honey, or peanut butter, this bread is taken to another level and makes a perfect chilly morning breakfast. Inventing and developing new recipes has become a weekend pleasure for me. 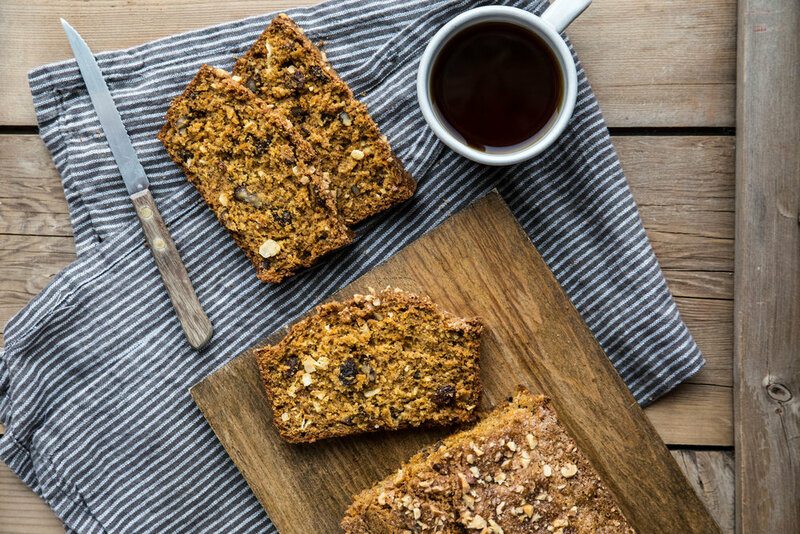 Creating wild combinations and indulging in my favorite ingredients is a perk of the job. 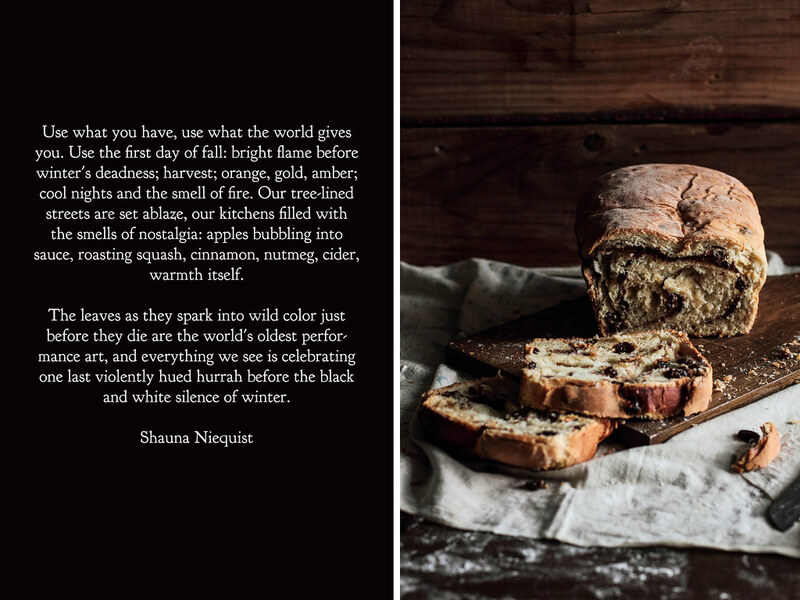 Even though I love sharing original recipes with you, every so often I find myself looking back through the archives with nostalgia, wishing I could bring back the magic of sharing my favorites with you once more. Then I realized, why couldn't I? With a spruced up look and a pleasant reminder, maybe you will fall in love with them all over again. While a few archived recipes may pop up from time to time, you must not worry. I do not plan to stop playing with my food any time soon. 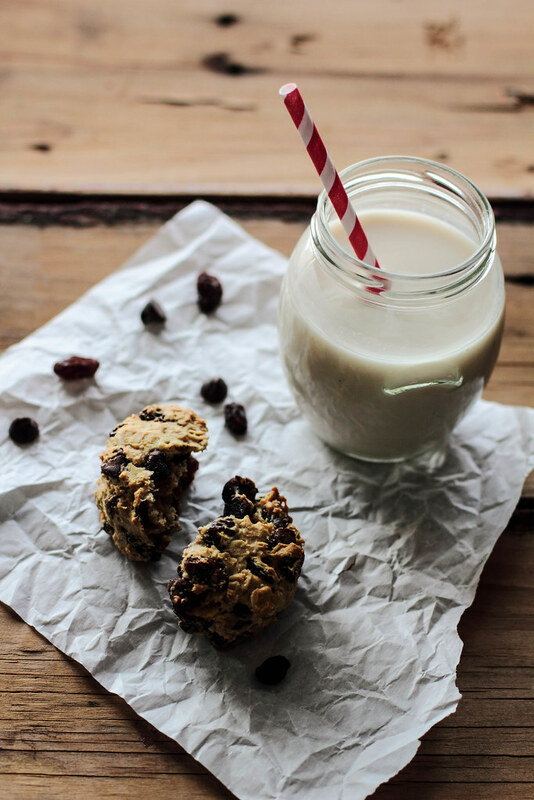 This recipe for Chocolate Chip Raisin Oatmeal Cookies was among the first handful I posted on this website. The recipe is not of my own invention, but the credit can instead be attributed to my wonderful university physics professor and his wife. 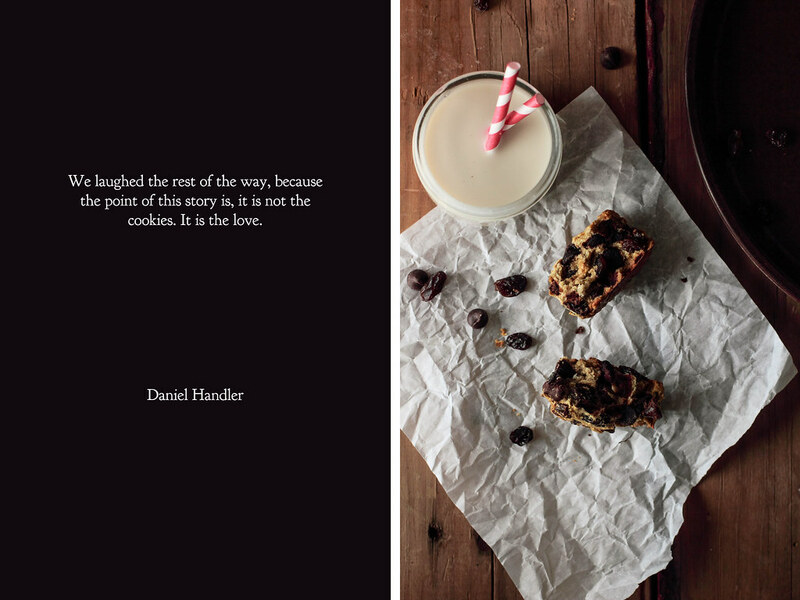 As with any great recipe, there is usually a story behind it. This is no exception. While getting my degree in physics, the physics department of the university held an annual spring picnic to bring together the students and professors for an afternoon of fun. Along with a tower of board games, there was a smoking grill and a table spread with salads, potato chips, and these cookies. Each year, rain or shine, these cookies found their way into the spread and, soon after, found their way into my heart. I would eat three or four in an afternoon's time; more than once, I wrapped one up in a napkin to take home. I had fallen in love with theses cookies and made sure my professor (and everyone there) knew it. It was the third picnic when my professor casually revealed that the cookies had a secret. The cookies, he whispered, had no added sugar. Naturally, I did not believe him at first, skeptical that a cookie could taste so positively delightful without sugar or a sugar substitute, but the truth was staring me in the face. In many ways, this simple fact made these cookies that much more precious. After prodding him for the recipe for at least a dozen times, he told me to be patient and that the time would come. On my graduation day, he congratulated me, shook my hand, and gave me a small sheet of paper with the typed up recipe, entrusting me with cookies I treasured. Every time I make these cookies I am reminded of those spring picnics and all of the memories that come with it. 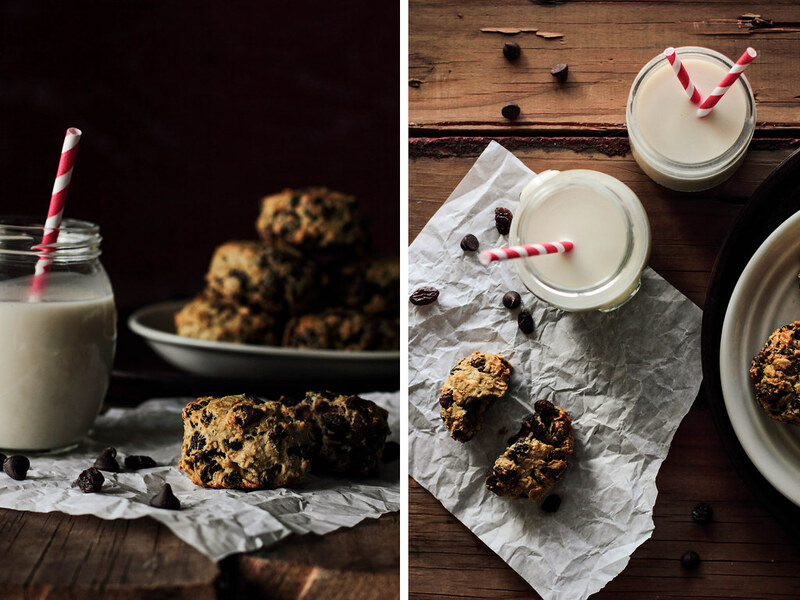 By trusting this recipe with you, I hope that you will bake and share these cookies with the people you love, creating memories of your own. 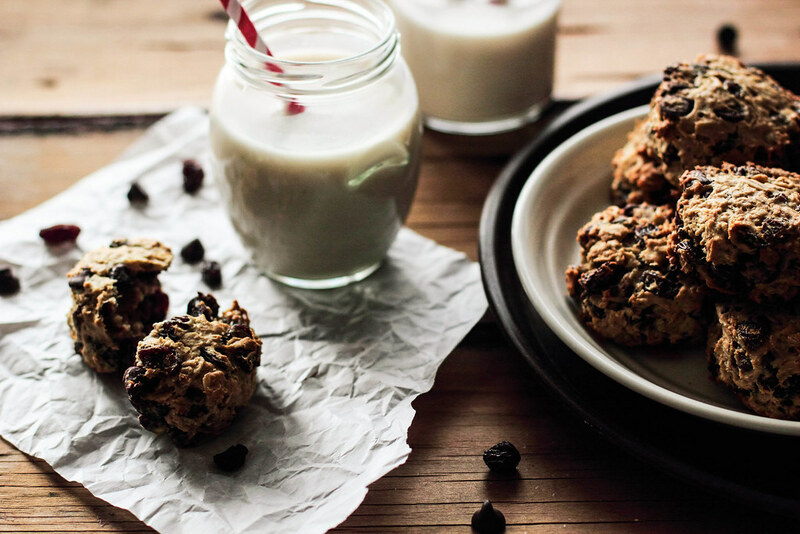 Chocolate Chip Raisin Oatmeal Cookies are thick, chewy, and have no added sugar. 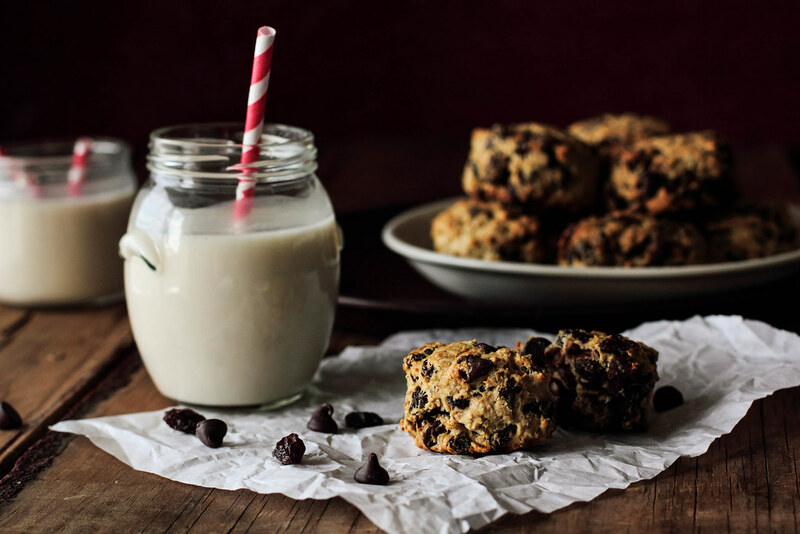 The cookies are made with oatmeal and an abundance of chocolate chips and raisins. While the batter isn't sweet, the add-ins are delightfully so. Do not fret! This cookie will please even the most sugar-happy children. The cookies are formed with a 1/4 cup measuring cup and will keep their shape while they bake; they will not spread. I adore these cookies for both their unique texture and characteristics and I hope you will too.